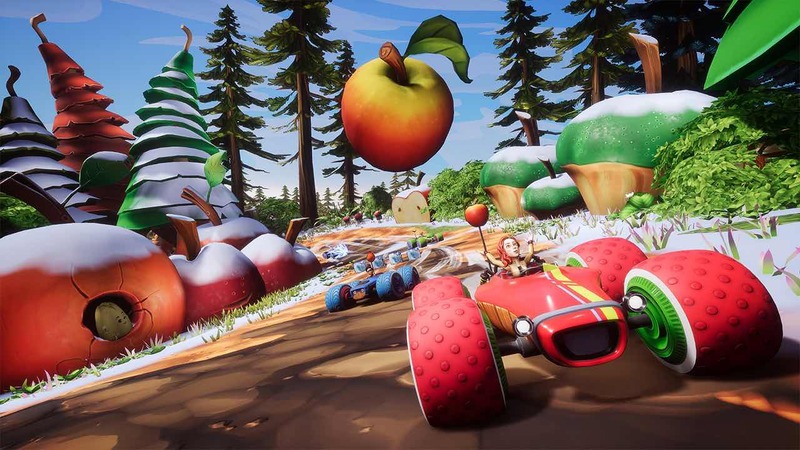 PQube and 3DClouds.it have released a new software update for All-Star Fruit Racing on Nintendo Switch, with version 1.01 adding online multiplayer to the game on the portable home console. Once you have downloaded the update, you will have the chance to matchmake with random racers online in eight-player showdowns, create custom lobbies with friends or even experience local area network play. All-Star Fruit Racing is now available at retail and on the Nintendo eShop for Nintendo Switch worldwide.